Following last week’s noticeable gameplay-lacking trailer for Assassin’s Creed IV: Black Flag, Ubisoft has now released a trailer that shows a bit more of the gameplay from the upcoming game. There’s a bit of gameplay, though it still isn’t much. As one would expect, there is going to be a emphasis on naval combat, as well as glimpses of boarding and fighting aboard the enemy ship. There are also some very brief flashes of the regular combat, which appears to be granting the hero a few more combat maneuvers that should further enrich the exciting combat of the series. At the end, there is a very brief shot of a man swimming–is Black Flag going to feature underwater exploration? See for yourself below. Are pirates enough to make you pick up Black Flag, or are you waiting to see what’s new on the gameplay side of things? 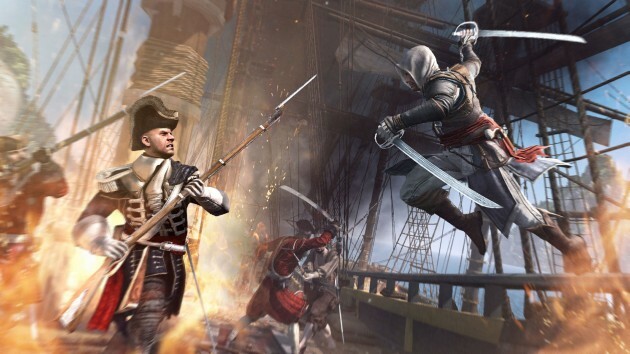 Tell us in the comments, or discuss Black Flag in our forums!